After three release candidates, pfSense version 2.0 is now officially available. Version 2 has many new features and upgrades that make it much better than previous versions of pfSense. Some of the notable features in version 2 include improved multi-wan support, an updated traffic shaper, improved VPN support, and many other improvements.The core operating system in 2.0 has also been upgraded to FreeBSD 8.1. If you are still running version 1.2.x or a release candidate then now is a great time to upgrade. The upgrade process is easy to doesn't take very long to complete. If you don't want to upgrade your system you can always download the installer and reload the system from scratch. Before you begin the update process I strongly recommend making a backup of the configuration. In the event that the update fails and you need to rebuild the system you can simply restore the config and re-install your packages. Rebuilding the firewall configuration can be both frustrating and time consuming. Before performing the upgrade you should uninstall all of the packages on the system. This step is especially important if you are upgrading from version 1.2.3. 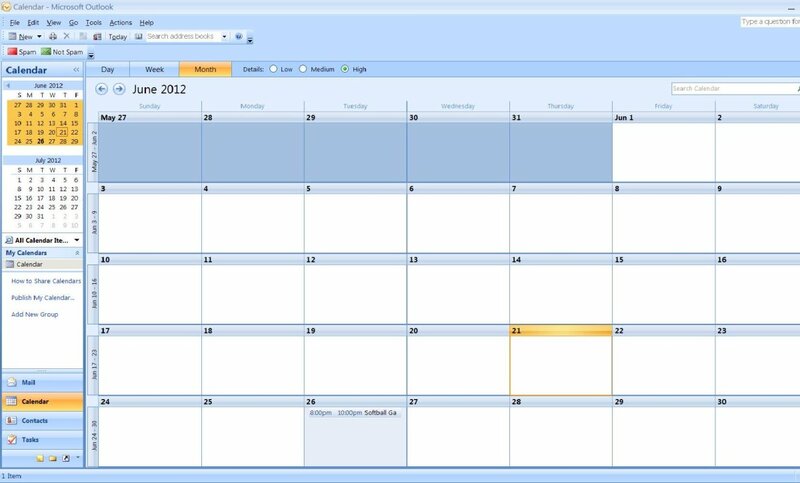 The configuration for the packages will remain on the system, and is also stored in the backup file. if you do not remove the packages there is a possibility one of them may prevent the system from booting after the upgrade. This is a rare occurrence but I have seen it happen so don't take any chances. 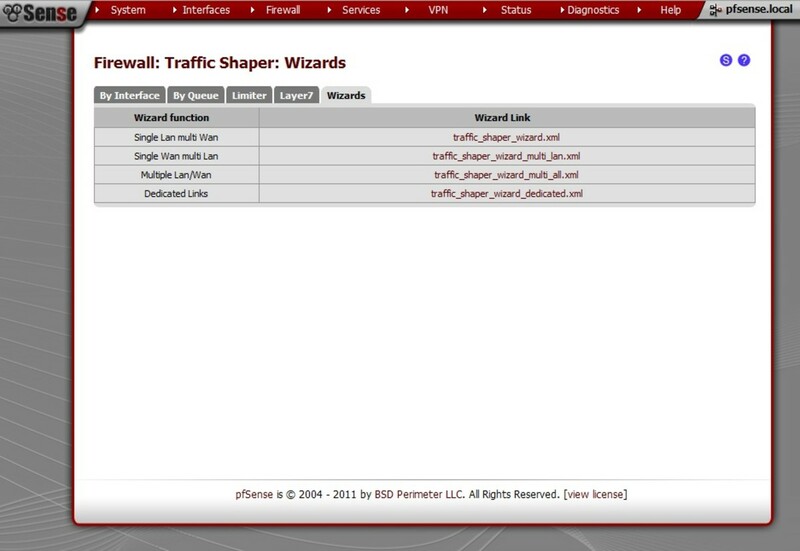 The easiest way to update to version 2.0 is by using the auto updater which is built into pfSense. To access the utility select the firmware option in the system menu. You should see a message that states " A new version is now available". To start the update process click the auto upgrade button. 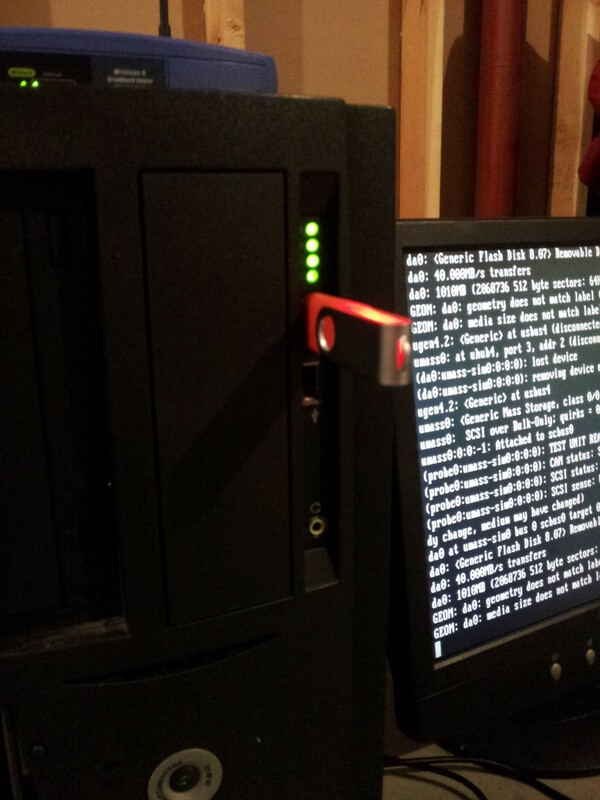 Click on firmware in the system menu to access the auto updater. To start the upgrade process click on invoke auto upgrade. 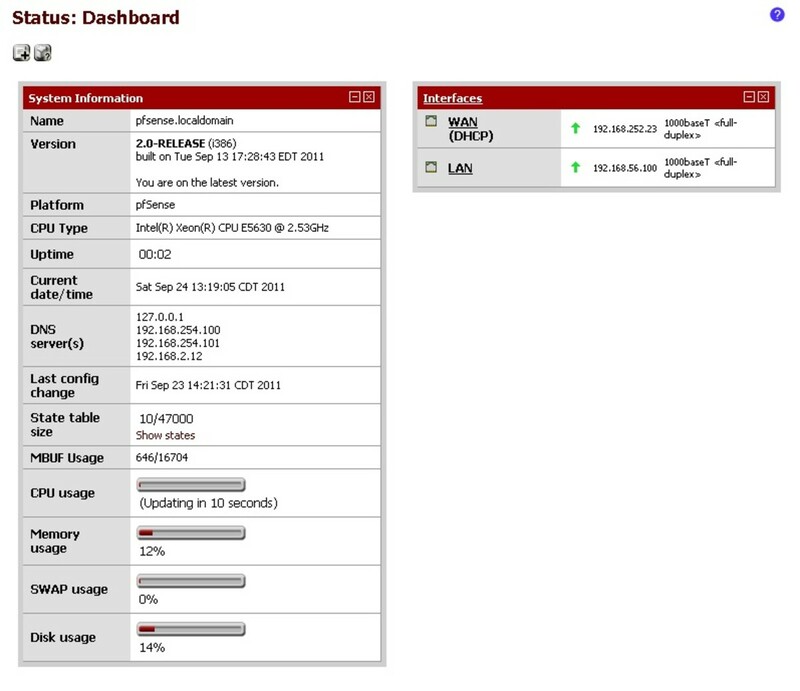 PfSense will reboot after the upgrade, the dashboard will let you know if you are running on the most recent release. 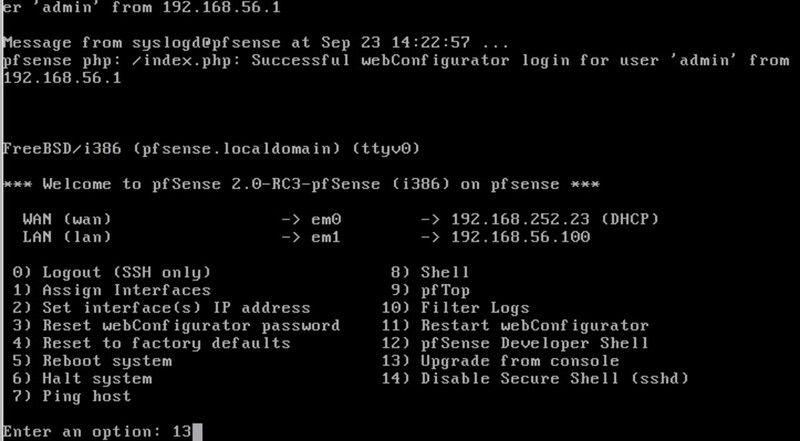 If you don't want to use the auto updater you can manually upgrade pfSense from the web gui as well. The manual update feature is useful if you want to upgrade to a specific version instead of the latest. The auto updater only allows you to upgrade to the latest release but using the manual method you can upgrade to the version you select. To use the manual update method you will first need to download the full update file from one of the mirrors. Make sure to download the update file for your architecture ie: amd64/i386 otherwise the update will fail. 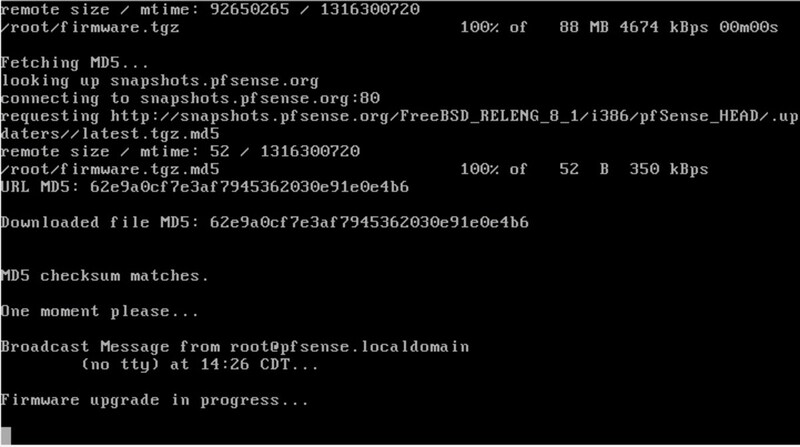 The file I downloaded was pfSense-Full-Update-2.0-RELEASE-i386.tgz since my machine was running the 32 bit version. 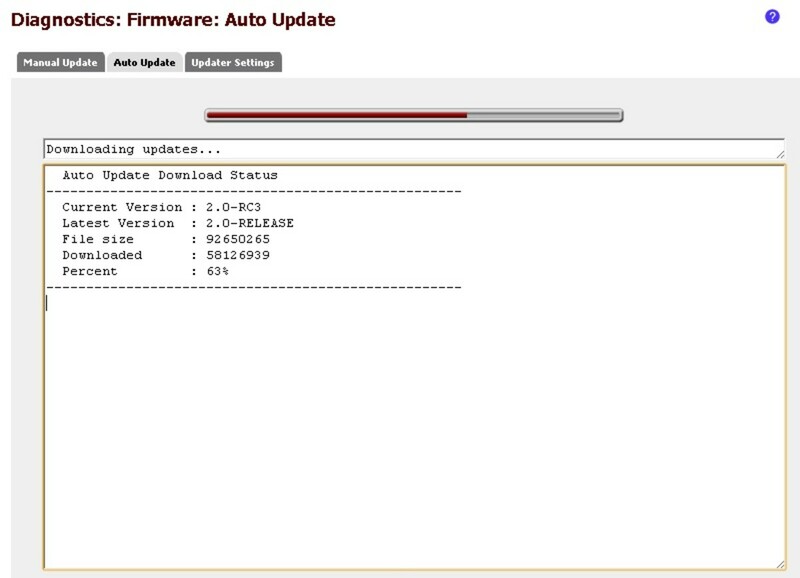 To start the update process click on the manual update tab, then click enable firmware upload. 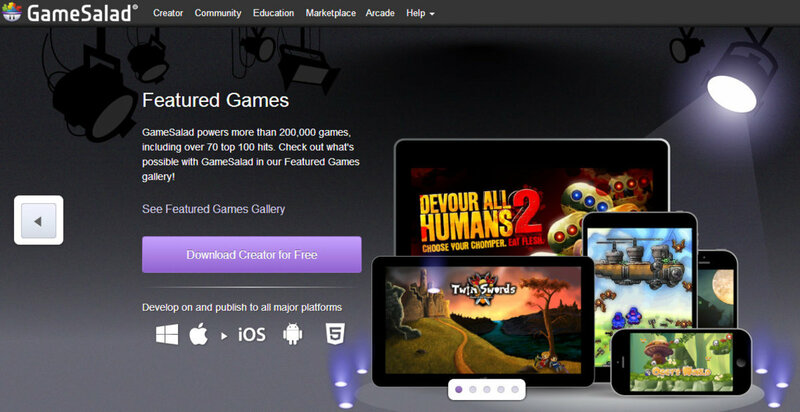 Next click the choose file button and select the image file you downloaded from the mirror site. Click on the manual update tab, then click enable firmware upload. The system will reboot after the upgrade is complete. 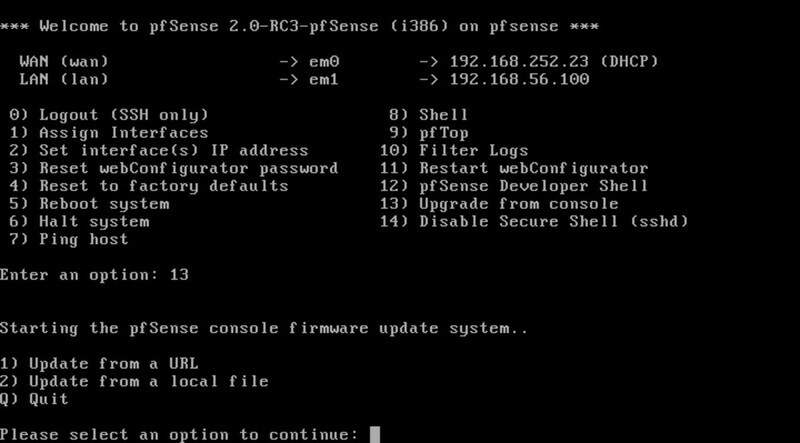 The third method of updating pfSense is via the console or SSH. This method is my personal favorite. To upgrade using the console select option #13 from the console menu. You will then be prompted to update from either a URL or a local file. If you select URL you can enter the URL of the update file, or if you type in "auto" the updater will download the latest version for you. 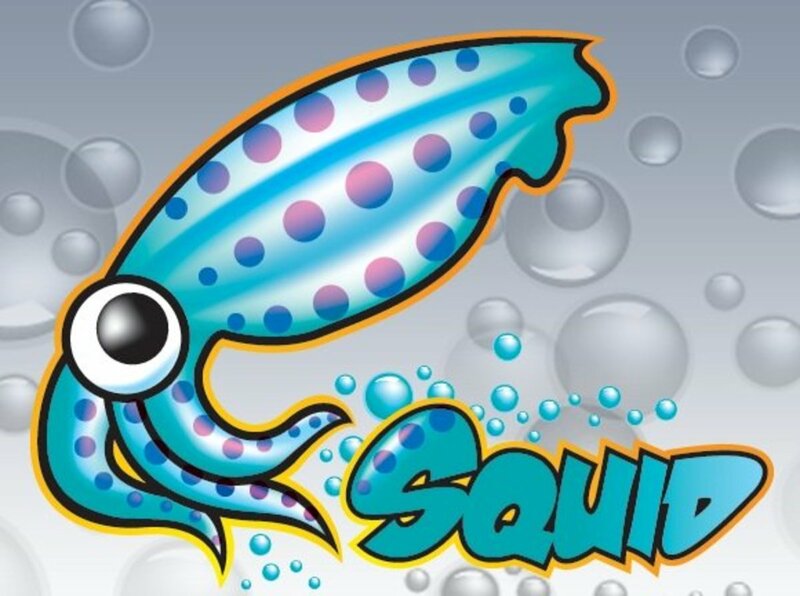 Once the update has been downloaded the system will automatically verify the MD5 hash of the download. If the file passes the hash check the upgrade will be applied to the system. Select option 13 to update from the console. The console updater can use a local file or a URL source for the upgrade. 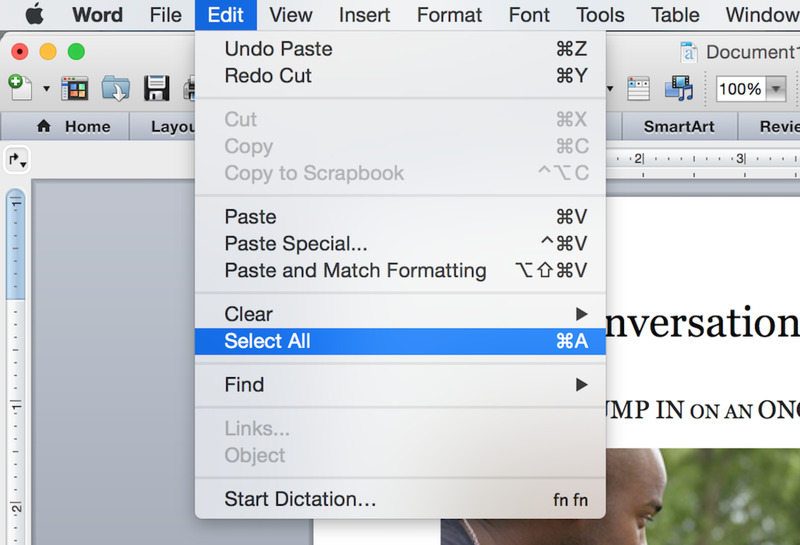 Selecting auto will download the latest version automatically. Once the download completes the updater will automatically verify the MD5 hash. 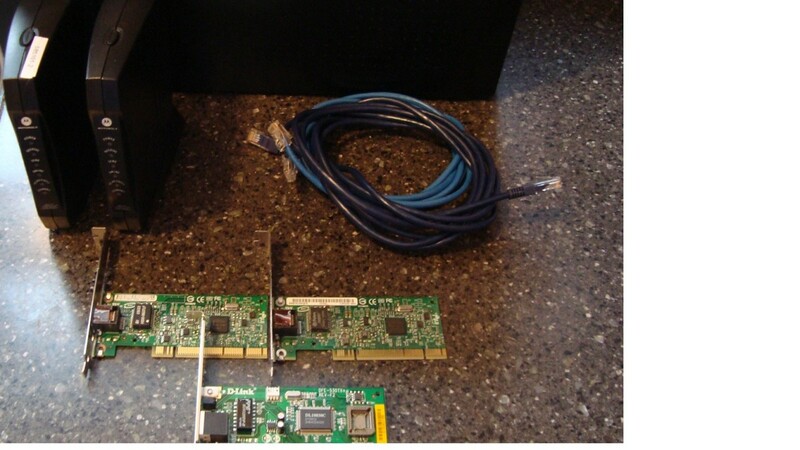 After the upgrade is complete pfSense will reboot. After the upgrade is completed you can re-install your packages and begin enjoying version 2.0! Many of the packages have been updated for pfSense 2.0 and some are completely new all together. The developers are already working on pfSense version 2.1 which will include several new features, most notably support for IPV6.